Echo, from Nanjing, China, stares in fascination as my hair sizzles beneath metal tongs. My new roommate had been curiously watching my morning hair ritual for about ten minutes before timidly posing her question. “Does it hurt? Will it stay for weeks and weeks?” She continues to watch incredulously, and I can’t help but chuckle. It occurs to me that Echo, a junior at Hong Kong University, has perhaps never seen someone curl their hair. She peppers me with questions as she combs her pin-straight black locks. 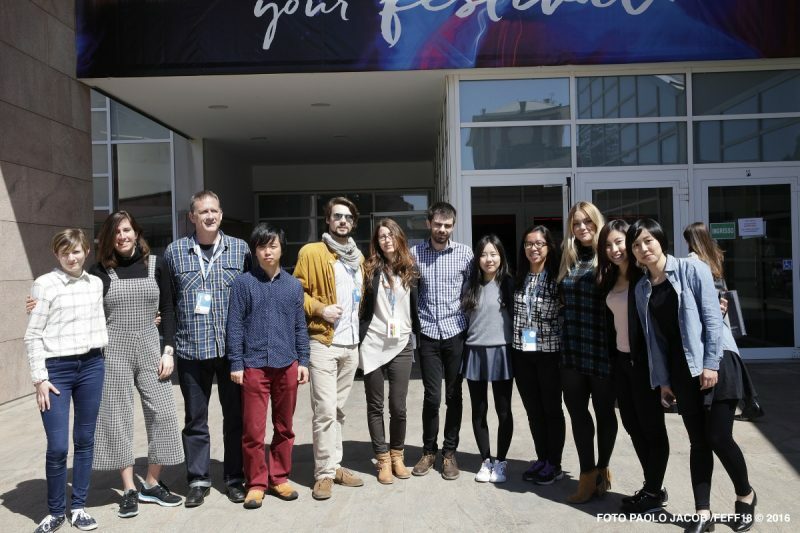 The culture clash of the campus students at the Far East Film Festival went far beyond language and films: it reached every aspect of our lives. For two weeks, we lived, worked, studied, and socialized as colleagues, partners and friends. Our endless conversations between film screenings covered American slang, political parties, Italian food, dating, Japanese pop, visas, vacations, and so much more. The differences, we discovered, were numerous, but the similarities were far greater and more powerful. 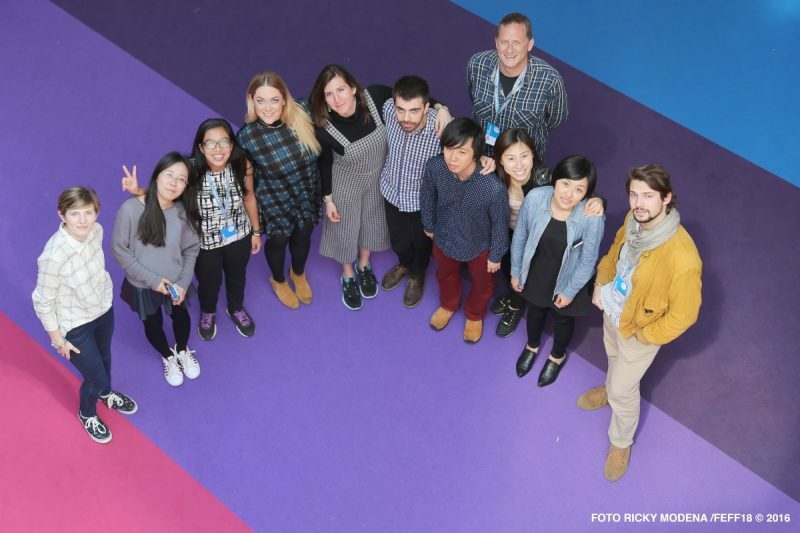 As 8 students from Asia and Europe, we learned to work as a team and enjoy each other’s differences. Studying cinema all over the world, each one of us had a unique perspective on FEFF 18 and films from Japan, China, the Philippines and Thailand, to name just a few. From classic horror genre films to political statement pieces, we discovered universal themes in the films that brought us together. Sara MERICAN, a college-bound student from Singapore, relished her first trip to Europe as well as the chance to interact with other international students. A n incredible range of different experiences and knowledge gave us all a better insight on films that tackled politics, history, mysticism, or even surfing. The emergence of Asian cinema markets on a global scale is extremely notable and promises even more growth in the coming years. It is important for us as young journalists to understand this market and its balance of Hollywood, European cinema roots, and classic Asian film tradition. With a headlining film like Ten Years, which tackles the complex political tensions between Hong Kong and mainland China, the communication between East and West students was crucial. Outside of the darkened theatre, our Campus found solidarity as students in the dawn of our career, despite the vastness between us. The real beauty became evident when we, as a team, laughed at the same films and found incredible similarities as film fans, students, or even Italian food lovers.